Analog compressor guitar effect pedal to increase sustain, get stable dynamic or to squeeze your tone. 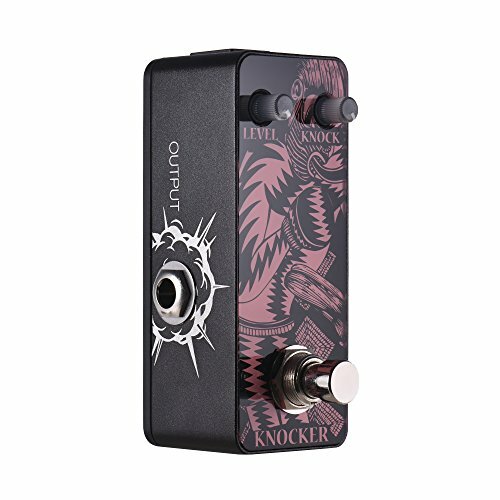 2 control knobs: LEVEL(works as a makeup-gain and boost to increase the output level), KNOCK(adjusts the amount of compression). True bypass footswitch for switching between delay effect and bypass status.